The New Balance MC1005 men’s tennis shoes are packed full of technologies that provide stability and comfort perfect for long days on the court. The shoes feature the S-Curve and ISS (Internal Support System) to provide maximum stability and support. The Acteva Ultra Lite combined with the N-Ergy ensures optimal resistance to compression set, most advanced shock absorption and excellent cushioning. The shoes’ synthetic mesh upper guarantees good breathability to keep the feet cool and ventilated, whereas a herringbone non-marking rubber outsole ensures increased traction for lateral motion and quick pivoting. 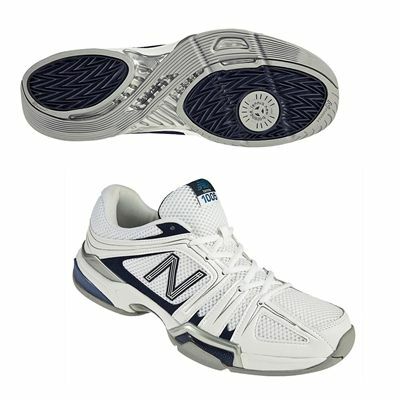 for submitting product review about New Balance MC1005 Mens Tennis Shoes.